– Thomas Hobbes, Leviathan XIII. 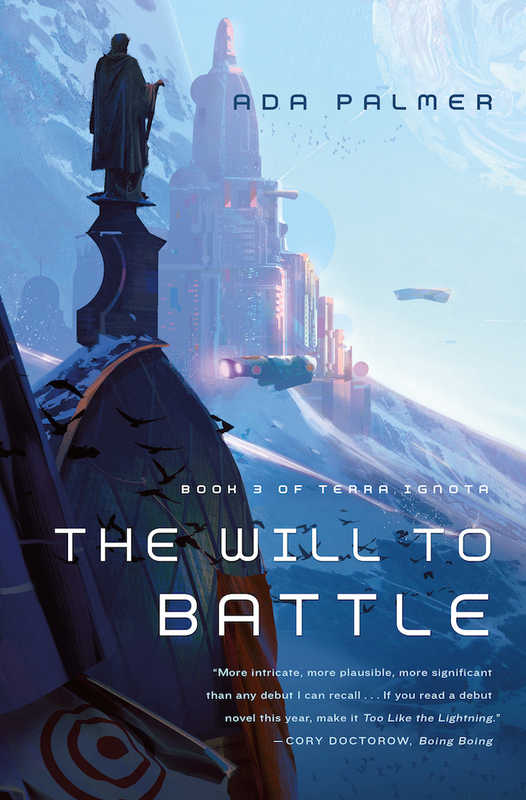 The world of Terra Ignota has been upended. War is inevitable. But after three centuries of peace, how does a war begin? With every world ruler friends with every other, how do the nations pick sides? How can war begin when every nation already has surrendered? Genius convict Mycroft Canner has completed the history started in Too Like the Lightning and concluded in Seven Surrenders. Now comes Mycroft’s chronicle of the guideless search for an order to the conflict as the world slouches toward war, while a living myth contends with a celebrity assassin, a corrupt priestess and a captive god to shape the conflict and the world to come.